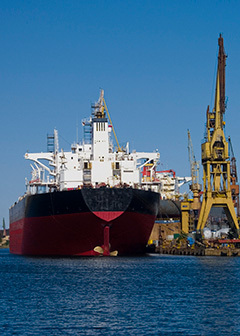 AOBTCO is a leading Marine and Engineering survey company, licensed by Saudi Arabian Monetary Agency (SAMA) which authorises the company to undertake both Marine and non-Marine Surveys in the Kingdom of Saudi Arabia. Established in October 1997, as ABTE, (Ahmed Badhidouh Trading Establishment), the company was reformed as a limited company AOBTCo (Ahmed Omar Badhidouh & Partners Trading Company Limited), in August 2000. Later, the company diversified into Property, Pecuniary & Liability claims handling and adjustments, receiving instructions from all the leading composite Insurers in Saudi Arabia, GCC, and other countries in the Middle East. The company has offices in Jeddah, Riyadh and Dammam to provide professional services in the Kingdom of Saudi Arabia. The marine surveyors have either Master Mariner or Chief Engineer status. All have accumulated substantial seagoing experience on a wide range of vessels and are able to cover all aspects of the marine field. The surveyors maintain current visas to facilitate travel outside the Kingdom of Saudi Arabia, if required, for emergency or major casualty work.